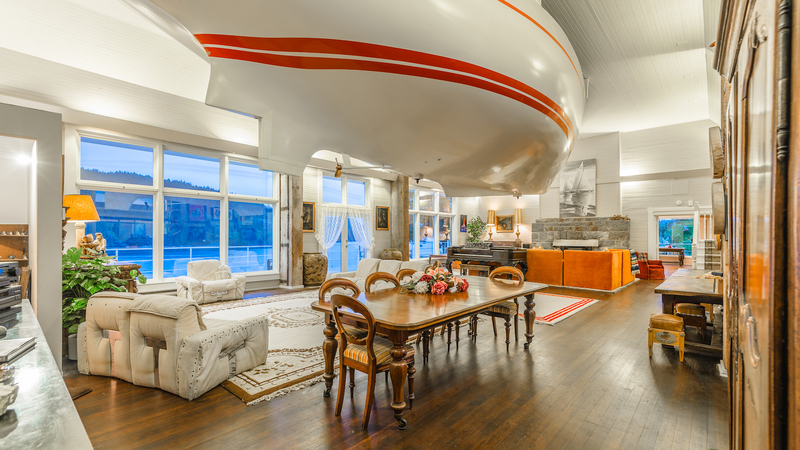 I’m always keeping an eye out for unique real estate listings and this Vancouver Island home in Genoa Bay certainly got my attention. Right in the living room, above the dining table and seamlessly blending into the ceiling is a boat. 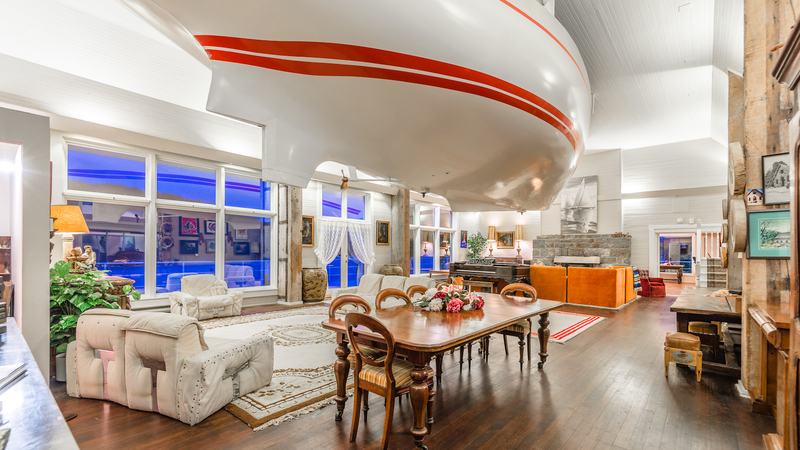 In all my years in real estate, I can safely say this is one of the most interesting features I have ever covered…even more so than the “open concept bathroom” in Vancouver. My friend knows the listing agent and thanks to Brian Danyliw for promptly giving me a history lesson on 669 Kerr Drive. 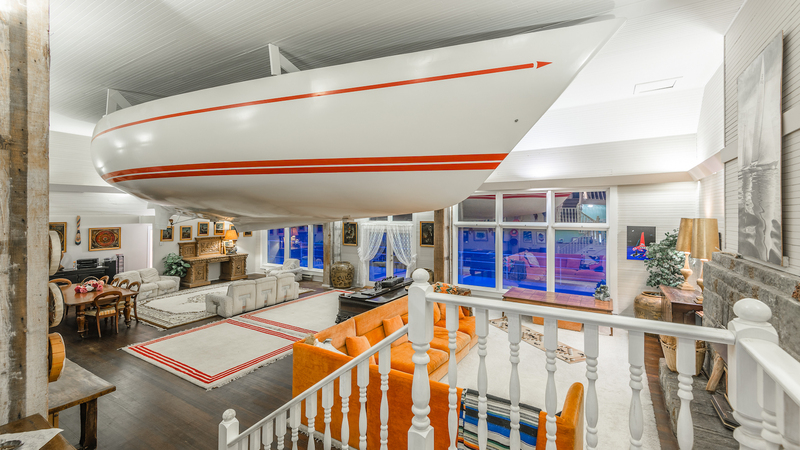 I just had to know how a boat came to be in the ceiling here, and luckily for me there is a great story behind it. 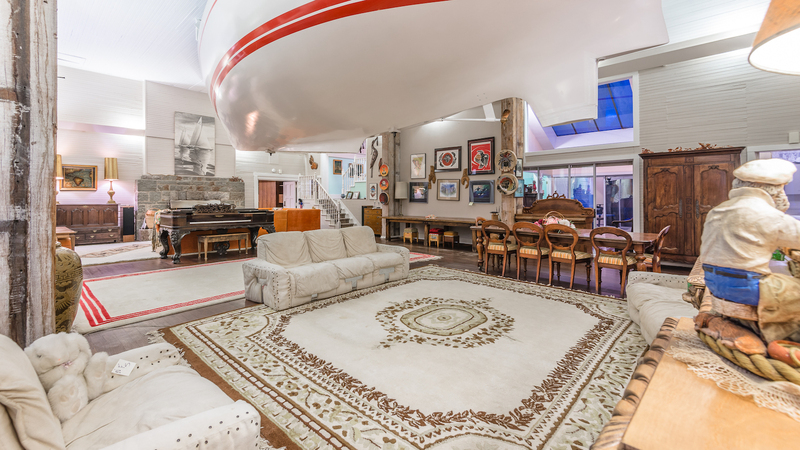 The vessel you see above the dining area is the racing hull of a Cooper 416 which was built in 1979. Cooper Industries sadly experienced a fire and that left this one of only twenty behind, it was luckily left outside. This particular racing hull never had a keel, as well it has never sailed in water. In comes a man named George O’Brien, an avid sailing enthusiast and member of the Cruising Club of America. 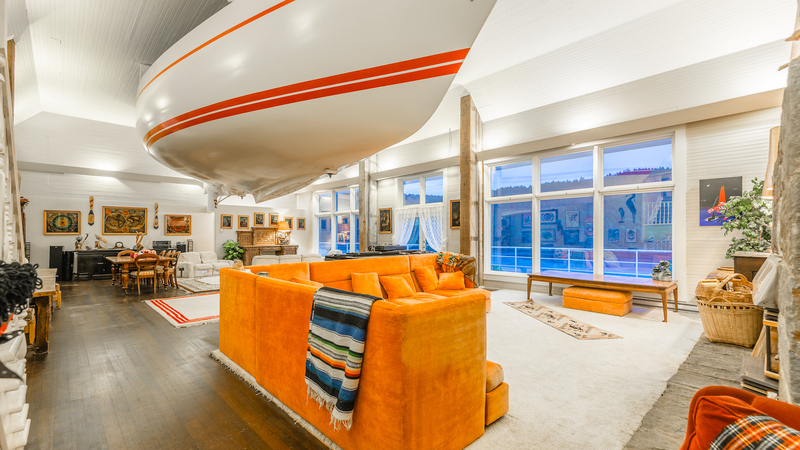 He loved this hull so much he bargained with Forbes Cooper himself and came out the new owner with intentions of adding it in his home. 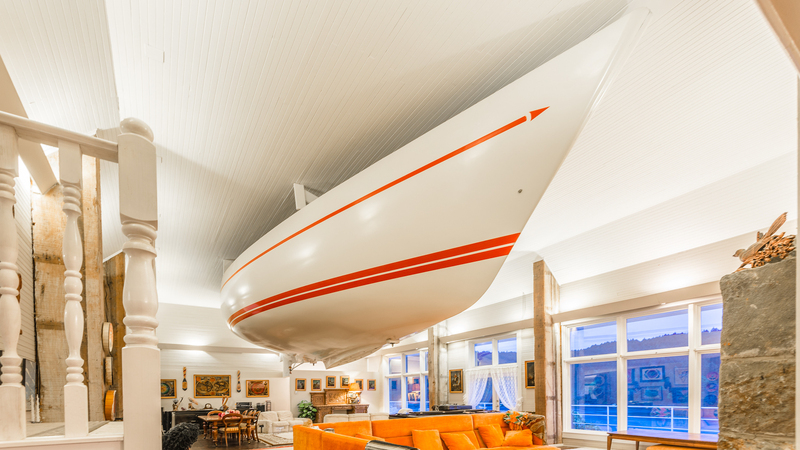 Mr O’Brien stated the reasoning for putting up this boat in his ceiling was so that people remembered him for it. 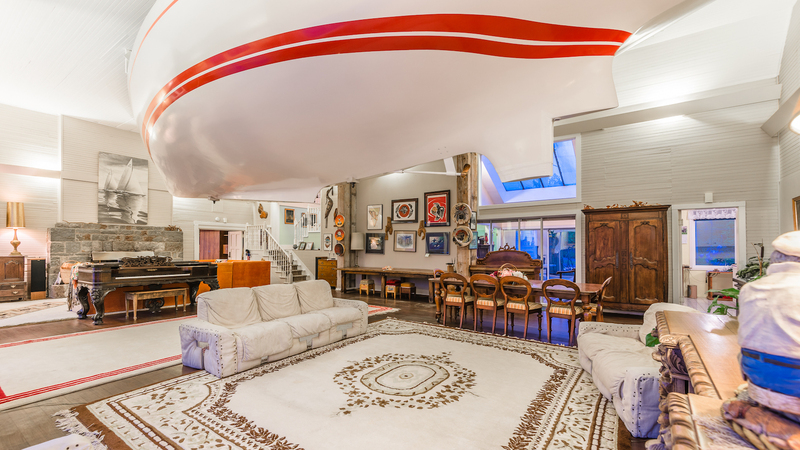 Besides that, he and his wife Koula have entertained people from all over the world here and this home is well known among the yachting community. 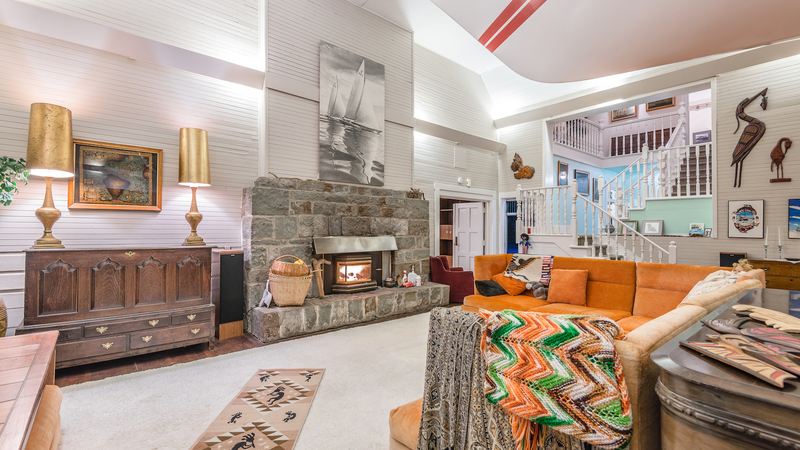 All that is quite fitting because this beautiful home is right on the water, next to the quaint Genoa Bay Marina. 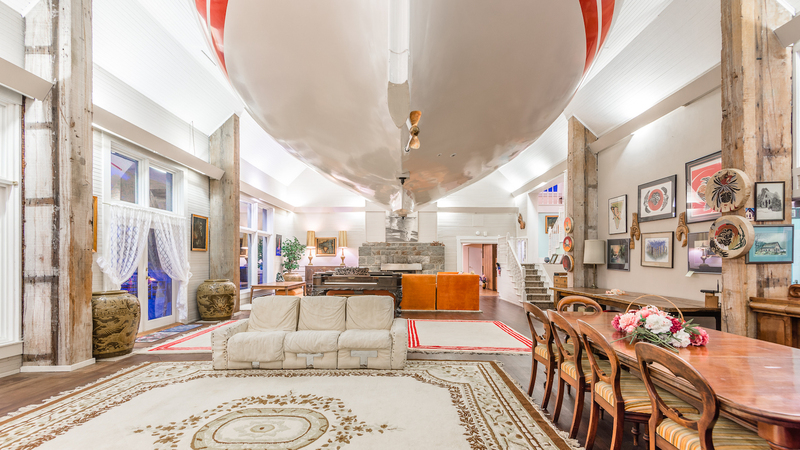 You can easily have your yacht right here, enjoy the ocean and all the sights and sounds of nature right from this property. 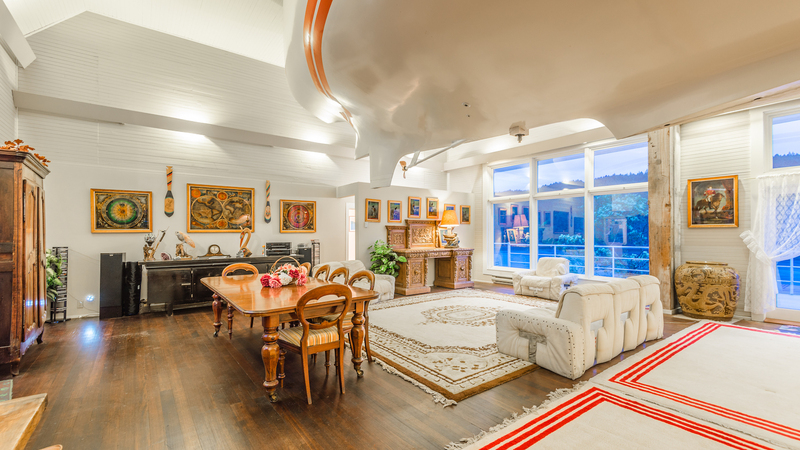 Listed for $2,250,000 CAD with Brian Danyliw of The Agency Vancouver Island. If you would like to know more about this unique home give him a call via 250-710-8779 and book a viewing. 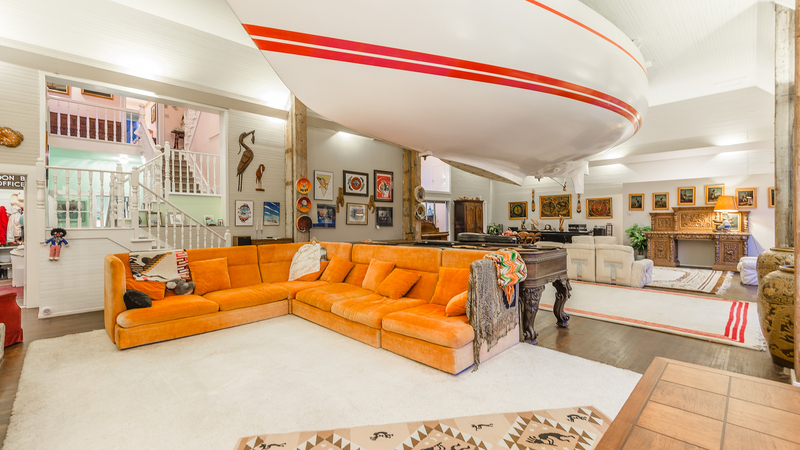 This is the perfect listing for sailing enthusiasts tucked away in this little pocket of paradise. Previous How About A Kayak Chandelier For The Cabin?